On 29th April, the artist, graphic designer, musician and Genesis author Klaus Voormann turned 80. We wish him a Happy Birthday from all at Genesis. It has been a pleasure to work with Voormann over the years on the Hamburg Days book and prints, REVOLVER 50: Birth of an Icon and REVOLVER 50: The Collage Series. 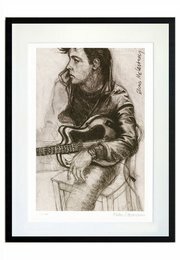 His work has captured the imaginations of many Beatles fans and heavily influenced album artwork worldwide. 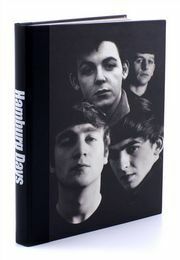 To find out more about the Hamburg Days book, click here. To find out more about the Hamburg Days print portfolio, click here.